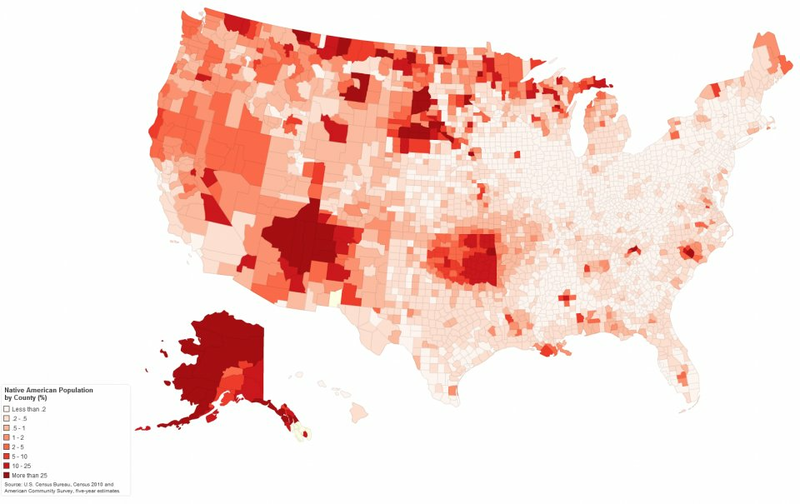 Last year, a pair of researchers from Duke University published a report with a bold title: “The End of the Segregated Century.” U.S. cities, the authors concluded, were less segregated in 2012 than they had been at any point since 1910. 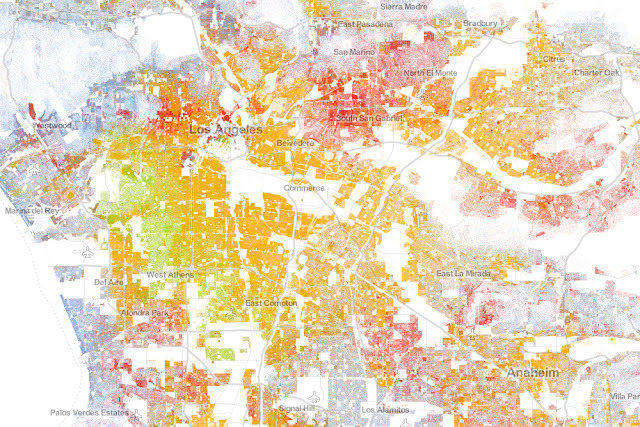 But less segregated does not necessarily mean integrated–something this incredible map makes clear in vivd color. 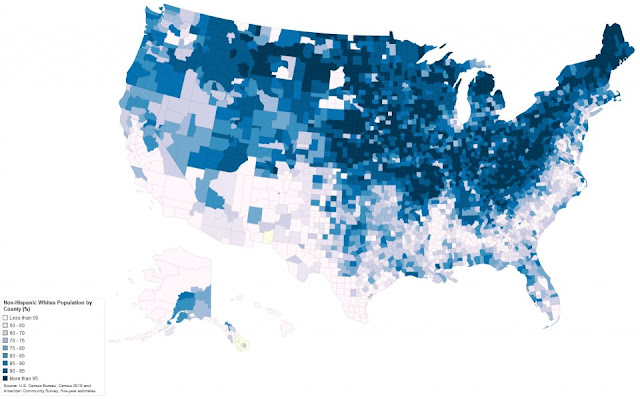 This is the most comprehensive map of race in America ever created. White people are shown with blue dots; African-Americans with green; Asians with red; and Latinos with orange, with all other race categories from the Census represented by brown. Since the dots are smaller than pixels at most zoom levels, Cable assigned shades of color based on the multiple dots therein. From a distance, for example, certain neighborhoods will look purple, but zooming-in reveals a finer-grained breakdown of red and blue–or, really, black and white. “There are a lot of moving parts in this process, so this can cause different shades of color to appear at different zoom levels in really dense areas, like you see in NYC,” Cable explains. “I played around with dot size and transparency for a while and settled on the current scheme as being adequate.” You can read more about Cable’s methodology here, but it comes down to this: When you’re dealing with 300 million dots at varying levels of zoom, getting the presentation just right is as much an art as a science. Looking at the map, every city tells a different story. In California, for example, major cities aren’t just diverse, they’re integrated to a great degree, too. We see large swaths of Sacramento dotted variously with reds, blues, oranges, greens and browns. Los Angeles is more distinctly clustered, but groups still bleed into one another. In Detroit, amongst the most segregated cities in America, 8 Mile Road serves as a sharp racial dividing line. In the Midwest, though, the racial divide can be shockingly exact. In Chicago, bands of whites, blacks, and Latinos radiate out from the city center like sun beams. In St. Louis, a buffer of a few blocks separates a vast area of largely black citizens from another of white and Asian ones. In Detroit, the most segregated city in America according to one recent study, there’s no buffer at all. We see how 8 Mile Road serves as the dividing line between two largely homogenous swaths–one predominantly white and one predominantly black. But the map doesn’t just tell us about distinct cities. Cable points out how the area comprising the Northwest Territory–Ohio, Indiana, Illinois, Michigan, Wisconsin, and Minnesota–sees a good deal of population distributed by major roadways, as opposed to the states in the East where the populations often developed along natural features (compare the sweep of dots in Eastern Pennsylvania to the same area in this detailed map of the area’s rivers). 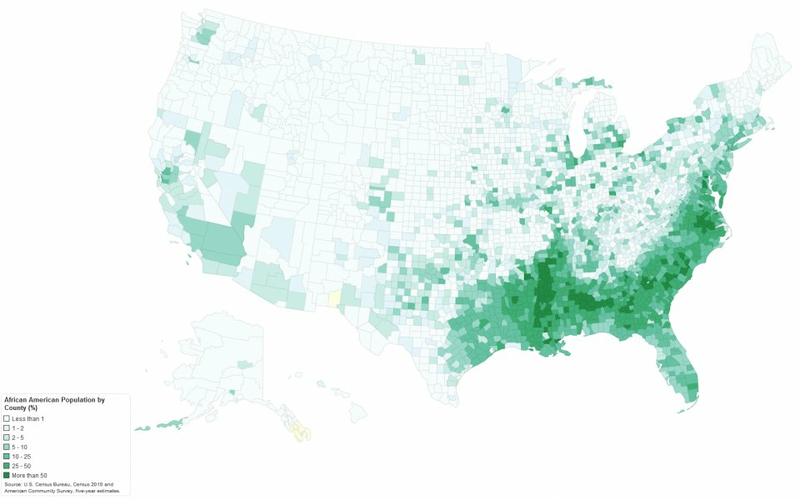 Looking at the Southeast, a wide, faint band of green represents the Black Belt, a region originally named for the dark soil in Alabama and Mississippi that eventually came to describe the greater region shaped by plantation agriculture. And while the West looks awfully barren, the density of cities like Los Angeles, Dallas, and Houston gives us a sense of why those states are actually so populous.